Conduits & Site Lighting - Delmarva Site Development, Inc.
Delmarva has substantial experience installing conduits and site lighting. We work hand-in-hand with your engineer during the design and construction phases to help reduce costs and drive the schedule. Often this work falls toward the end of the project, and is the last step prior to pavement. 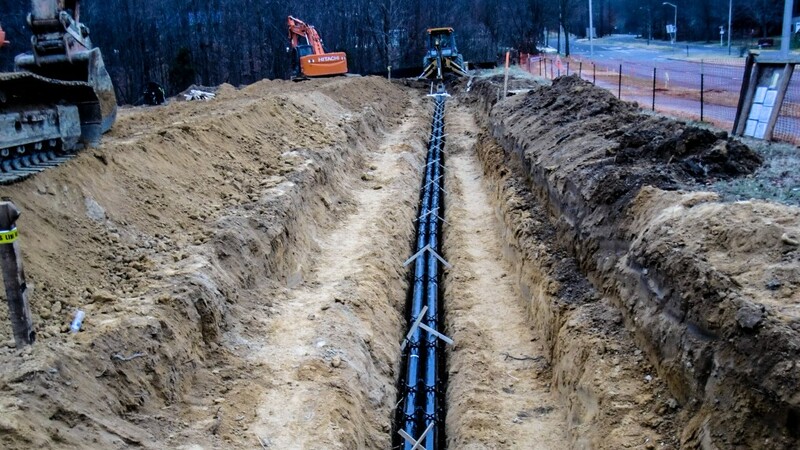 Our knowledge of and relationships with the area utility companies allows your project to transition seamlessly through to a finished product.